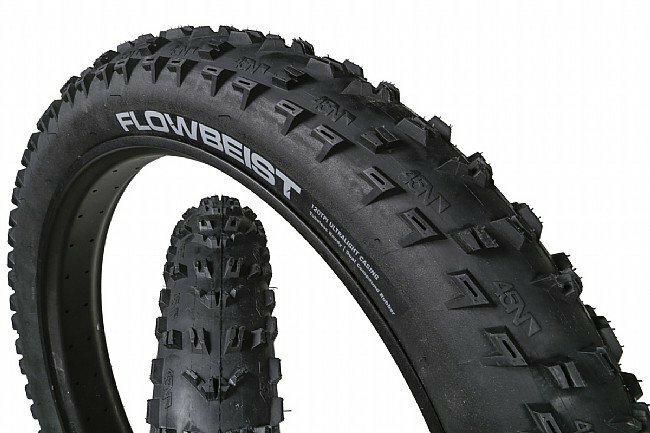 45Nrth's Flowbeist Fat Bike Tire makes for an excellent front-tire choice for well-groomed single track. Its aggressive knobs give it excellent braking traction, and the tall side knobs made with a softer rubber compound help it bite when leaned into corners. 26 x 4.6". Tubeless-ready 120 TPI casing.